Perks FAQs - Member Benefits - DVCNews.com - The essential Disney Vacation Club resource! Do DVC members receive any discounts on cash rooms? Disney Vacation Club members can to receive a discount of 25% off of the Rack Rate for cash rooms at the DVC resorts only. This discounted rate is only offered when DVC estimates that the resort will not be completely booked on a given night by members using points. DVC members reserving a room at the 25% discount can link together reservations booked using points and cash. As long as the two reservations are for consecutive nights at the same resort in the same room size, linking the reservations guarantees that guests only need to complete one check-in and that they will remain in the same guest room for the duration of the trip. Members are eligible to reserve only one room per night at the discounted rate. The member is supposed to be staying in a room when reserved with the discount, but DVC is often inconsistent in administering this rule. A deposit equal to one night's charge is due at the time of booking. Cancellations must be made at least 7 days before the scheduled arrival to avoid charges. Contact Member Services to inquire about room availability at the 25% discount price. Other than low-cost accommodations, are there any other benefits to DVC ownership? Members can expect to receive a copy of the Portable Perks booklet upon arrival at any DVC resort. This pocket-sized pamphlet is updated every few months and should represent an up-to-date list of the current perks available to members. Finally, the website Allears.net maintains a list of discounts offered to DVC Members, Annual Passholders and several other categories of Disney guest. The Allears.net summary can be found HERE. Note that DVC (and other) discount programs are subject to change at any time. Are there any special trading pins for DVC members? Disney regularly creates trading pins exclusively available to Disney Vacation Club members. These special pins are often not on display in resort gift shops since they can only be purchased by DVC members. Ask a gift shop cashier if they have any member exclusives available. 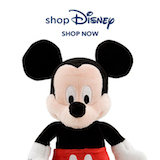 A Disney Vacation Club member ID is typically required in order to puchase any exclusive merchandise.